Firstly, many apologies for the lack of blogging activity during the last two months. February and March are always really busy times for me with work, and it was just the same again this year. That doesn't mean to say I've not been scanning the bands and listening to the radio - just that I've found less time than usual to write about what I've been hearing. I've been posting on my Twitter account though, so it's always worth having a look on there. It was my birthday at the end of March (many thanks for all the greetings via WhatsApp and on my Facebook page), and one of my presents was a small portable radio - the Tecsun PL-380 which I've been having fun with. For such a tiny receiver I've been quite surprised by what it can receive with only the in-built antennas. I'll have to try it with my little MW loop and see what happens. Now the clocks have changed and we are working on British Summer Time in the UK, and the days are getting longer, it means reception of the Dutch MW pirates will not be quite so easy as during the winter. 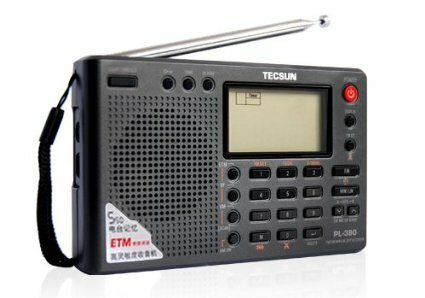 When the days are at their shortest it can be possible to hear stations until around 0930 UTC and then again from around 1300. Summer is a totally different matter and often with increased static on the band as well. However, hopefully there will still be plenty to listen to and write about. As I type this I've just been listening to a qso between Ruimzicht, Monte Carlo and Noordzee, who was interestingly using 1638 kHz while Calimero was busy with a long music programme on the same frequency. I've noticed this happens quite regularly with these two stations! Also during the last hour, Batavier was testing on 1665 kHz and getting a good signal across the North Sea, although he wasn't 100 per cent happy with his audio. And down the band on 1611 was Noorderzon, who was doing very well as usual with his low power transmitter. And now another station has just signed on 1642 kHz with a big signal. Good to hear plenty of activity. Long may it last.